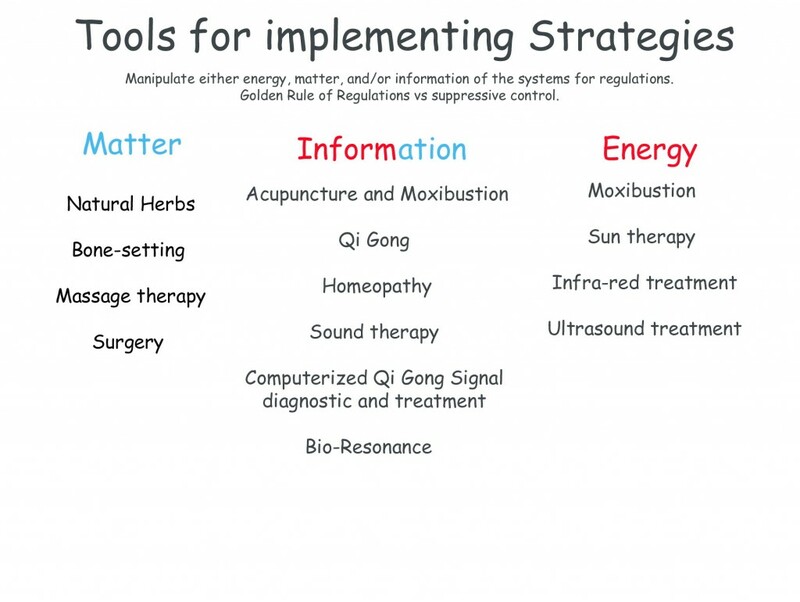 The scientific nature of Chinese medicine must be demonstrated. Otherwise, the promotion and popularization of Chinese medicine in China is an empty phrase. 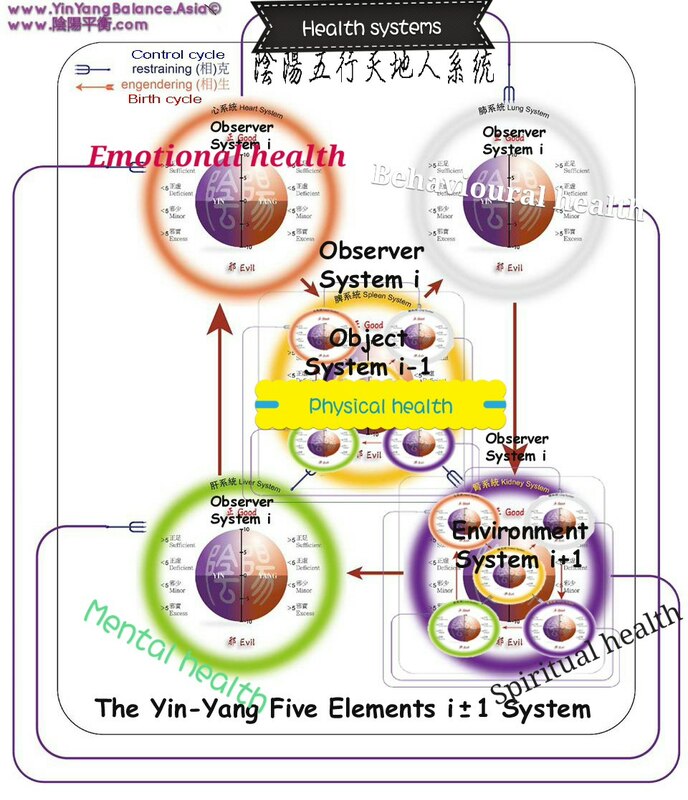 “Tiandao·Tao·Humanism: A quasi-thinking of the scientific nature of Chinese medicine”, using the observational knowledge of the equatorial coordinate system, shows the concept of scientific space-time that is comparable to modern astronomy in ancient Chinese astronomy. 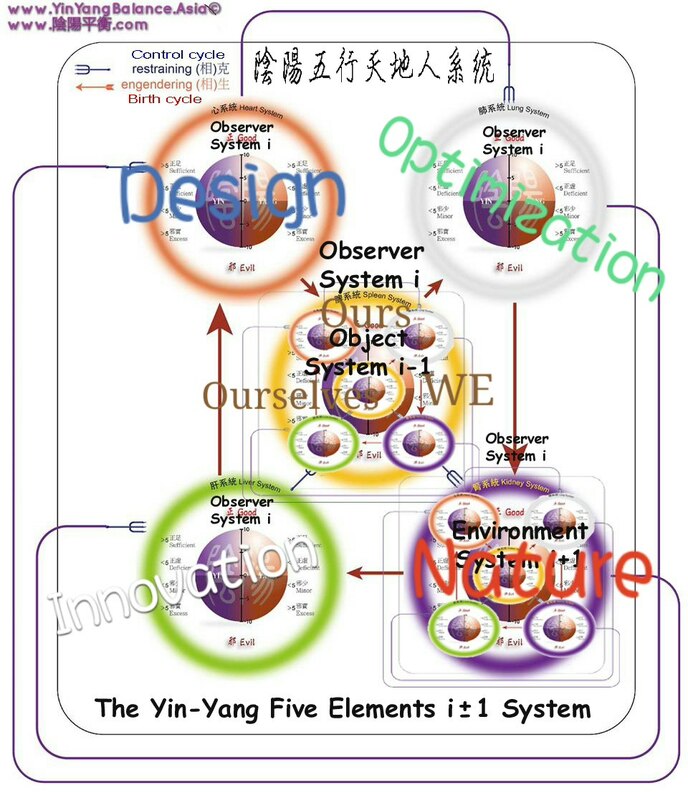 Using the laws of the five planets to change, the principles of the yin and yang eternal principles are illustrated. The irrefutable historical facts introduced the accurate connotation of the scientific theory of “chi” in the Chinese civilization. On the basis of confirming the scientific nature of the calendar, it is the first time to confirm the scientific nature of TCM academic theory. It can not only inspire more scholars of related disciplines, but also focus on the scientific nature of Chinese medicine from a broader perspective and far-reaching space, and it is very helpful in enhancing the understanding and interpretation of the scientific nature of Chinese medicine both at home and abroad. 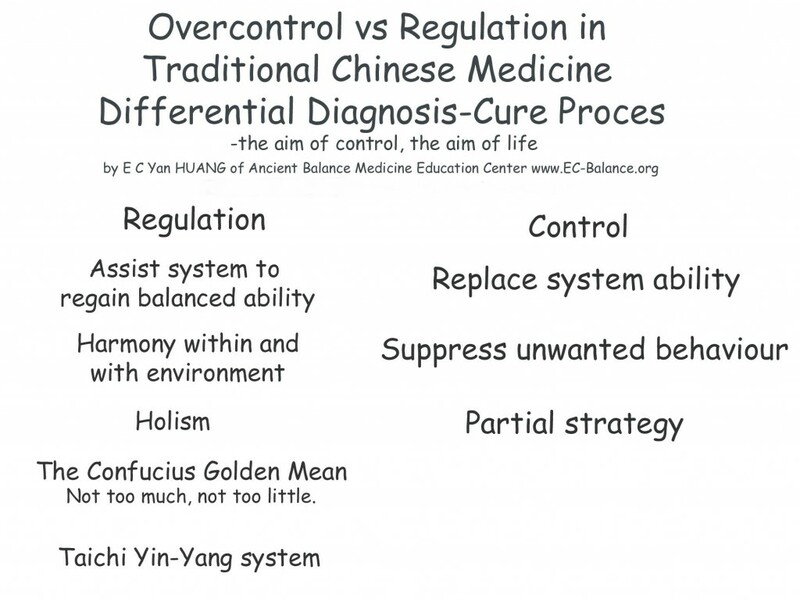 The scientific issues of Chinese medicine have always been controversial. The organs and meridians named in traditional Chinese medicine do not directly correspond to the anatomized human organs. Instead, they directly correspond to the yin and yang elements of five lines, eight lines, ten dry lines, and twelve lines. 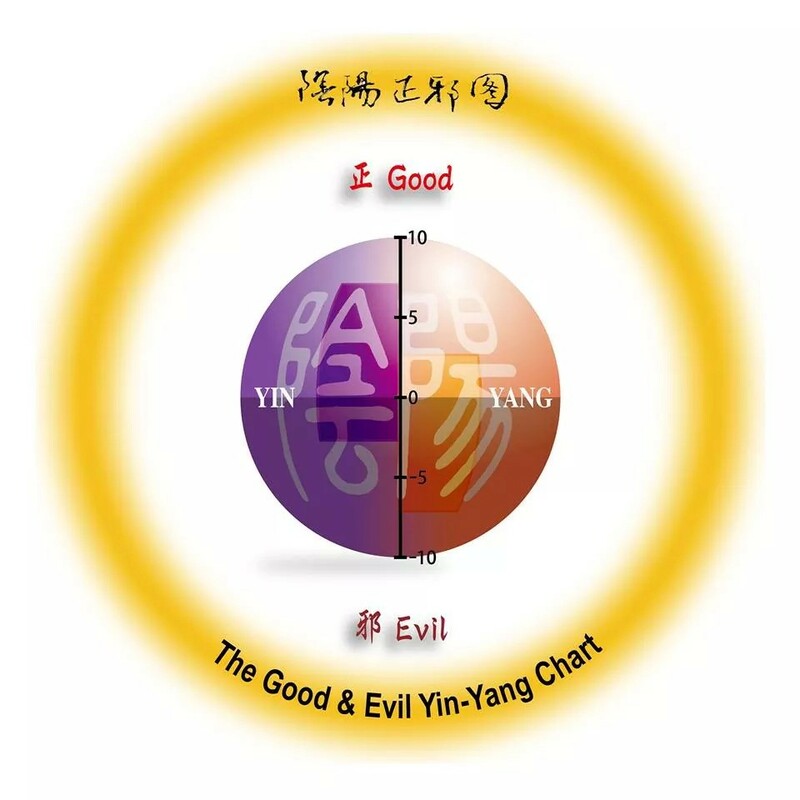 The yin and yang of the Five Elements and Eight Guards, and the dry support of these numbers are ancient Chinese philosophers. According to the diversion of the Beidou, the calendar of the mutual induction of the five planets’ migration and climate change was established. The traditional Chinese science, technology, and ideological and cultural knowledge involved in this book has profoundly revealed the intrinsic scientific and technological content of many intangible cultural heritages. It should be said that these contents are even more precious than intangible cultural heritages, and they deserve to be widely publicized and promoted. .
Part I Where is the origin of TCM academic theory? Second, without confirming the scientific nature of Chinese medicine, the advantages and characteristics of Chinese medicine are difficult to be recognized. Fourth, the five elements of yin and yang communicate with the spring, summer, long summer, autumn and winter seasons. 1. Those who say “festival” in their speech, and that they march in and out of the air, are not skinny bones. 1. Do not reveal the exact meaning of yin and yang elements, gossip, and dry branches. Chinese medicine itself lacks vitality. 4. The sadness of self-cultivation of Chinese medicine lies in not finding a compass that can correctly guide the course. Second, the yin and yang elements, the gossip, and the dry support can only be restored to the 24th solar terms. 4. The yin and yang gossip originated from He Tuluo. He Tuluo and the Yi’s October Calendar are connected. Third, there will not be only one scientific system, nor will there be only one objective truth. 1. Where do common dimensions come from? Insomnia has become a modern city sickness. Research has been carried out to evaluate different Traditional Chinese Medicine treatments using evidence-based medicine methodologies. The cause of insomnia may come from one or more of the five elements systems, including the Wood mental system, the Fire emotional system, the Metal behavioural system, the Water spiritual system, and the Earth physical system (with one or more of its five sub-systems). From this analysis we will try to find the common structure and relationship that can be generalized using systems thinking which could be applied to treat different sickness and promote healthcare. Research has shown that this systems thinking is rooted in the fundamental concept in traditional Chinese culture since around 500BC. The concept is also embedded in the teaching of Confucianism, Buddhism, Taoism, and Traditional Chinese Medicine. 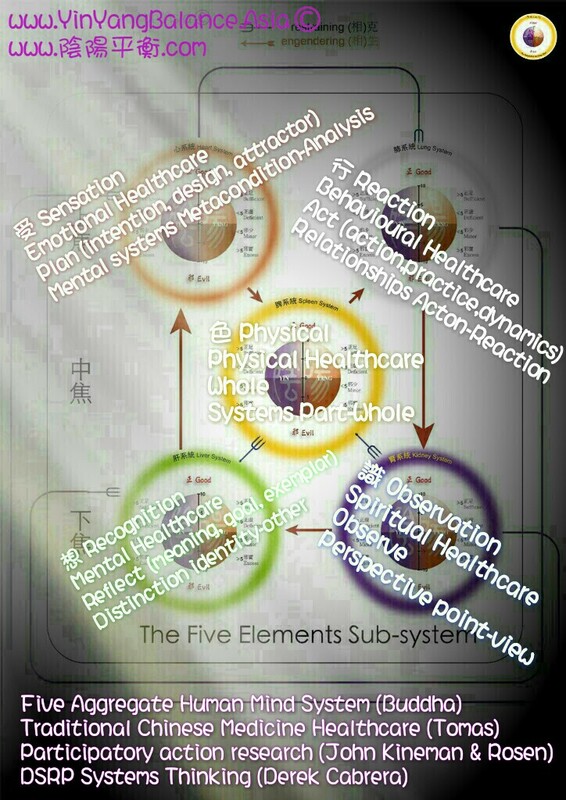 The traditional Chinese system theories under investigation include the Taichi yin-yang system theory, the Five systems theory of the human mind, and the Traditional Chinese Medicine differential diagnosis-cure process. 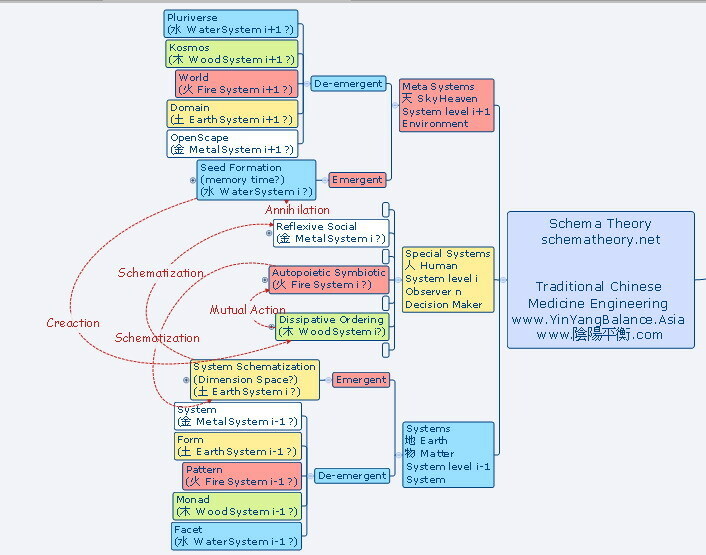 These theories are found to be related to different modern system theories including Viable system model. Taichi yin-yang system theory describes the relationship between any two entities (element/process) at any level of interest. It concerns the quantitative and qualitative changes between the entities. This is related to causal loop diagram (CLD) in system dynamics which uses reinforcing loop and balancing loop. The observer is not specified in the theories, but the perspectives of the observer actually determine the entities, the unit of quantitative changes, and the ratio of qualitative changes. The Five systems theory of the human mind is one of the important concepts developed in the teaching of Buddha. The Five systems are: awareness, perspective, sensation, action and physical object. These five systems can be used to describe the properties of the observer and the decision maker. 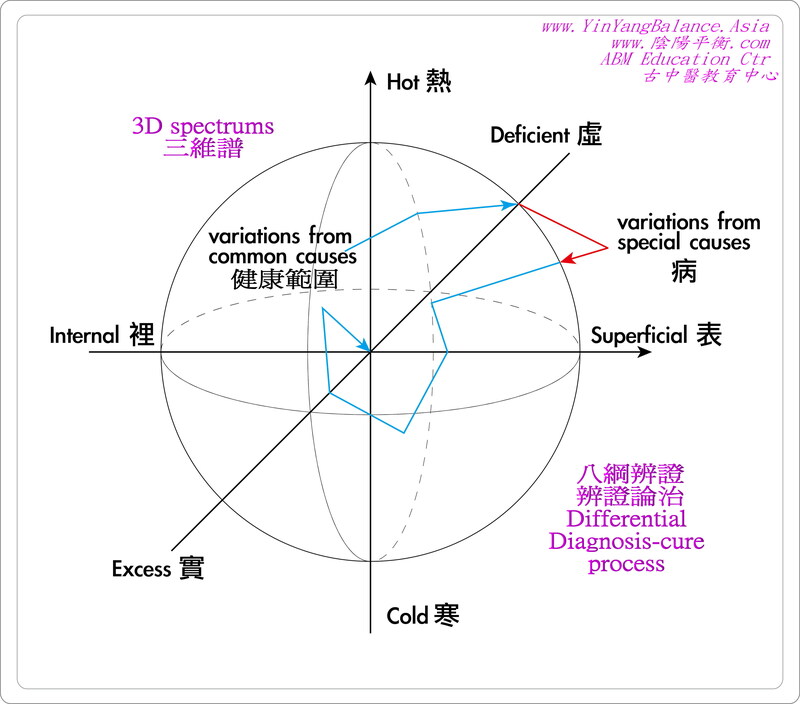 The Traditional Chinese Medicine differential diagnosis-cure process is a practical systemic process that has been used daily for more than 2000 years. It is believed that the whole macroscopic-microscopic spectrum of systems can be suitably accommodated. The system state identification involves three pairs of direction-forming spectrums. The Superficial and Internal spectrum gathers information between the boundary and the system. 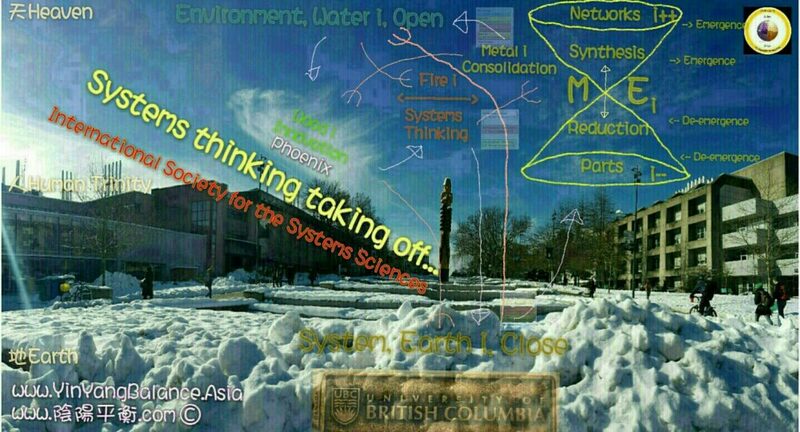 The Cold and Hot spectrum gathers information between the form and function, or matter and energy within the system. The Deficient and Excess spectrum gathers information between the environment and the system. Strategy can then be formulated to regulate and maintain the system. Protected: Editing: Systemic leadership open system vs Reductionistic bossy close system. Posted in 太極明理 Taichi (體)– 分別心 Differentiation，分辨，概念 concept，新創 creation (Scientific Theory 科學理論)	| Tagged Buddha middle path (middle way) 佛法中觀, Confucius Golden Mean 儒家中庸之道, Five aggregates systems of human mind 五蘊系統, Taoism/Daoism 道家思想, Traditional Chinese medicine differential diagnosis-cure process 中醫辨證論治系統, Yin Yang Balanced 陰陽平衡, Yin-Yang Five Elements System 陰陽五行系統, 中道	| Enter your password to view comments. Over-control vs Regulation in Traditional Chinese Medicine Differential Diagnosis-Cure Process – The aim of control, the aim of life. 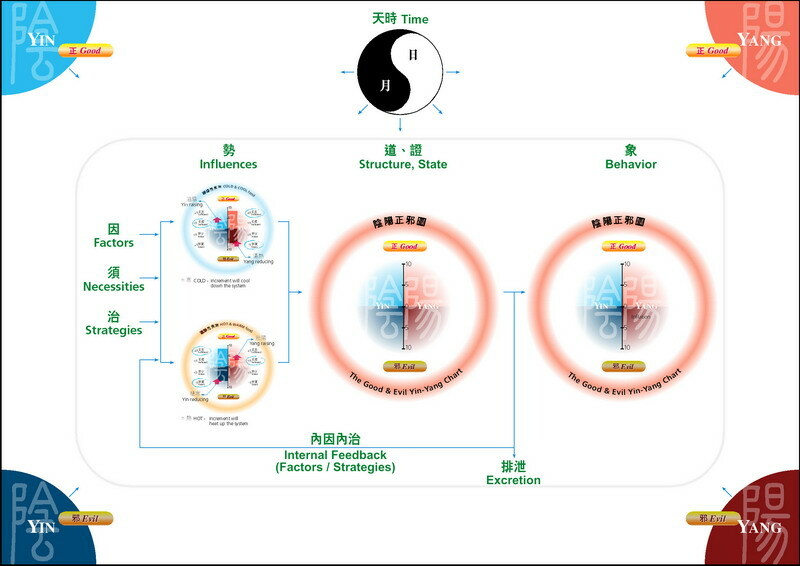 Assist system to regain balanced ability 輔佐療法, harmony within and with environment 天人合一, holism 整體論, the Confucius Golden Mean 儒家中庸之道, not too much, not too little, Replace system ability，Replacement therapy 替代療法, suppress unwanted behaviour, partial strategy 局部策略, suppressive therapy 壓抑療法, The aim of control, the aim of life. manipulate either energy, matter and/or information of the systems for regulations. Golden Rule of Regulations vs suppressive control. 邪圖 Frame of Reference FOR lines: Excess is above, Deficient is below. 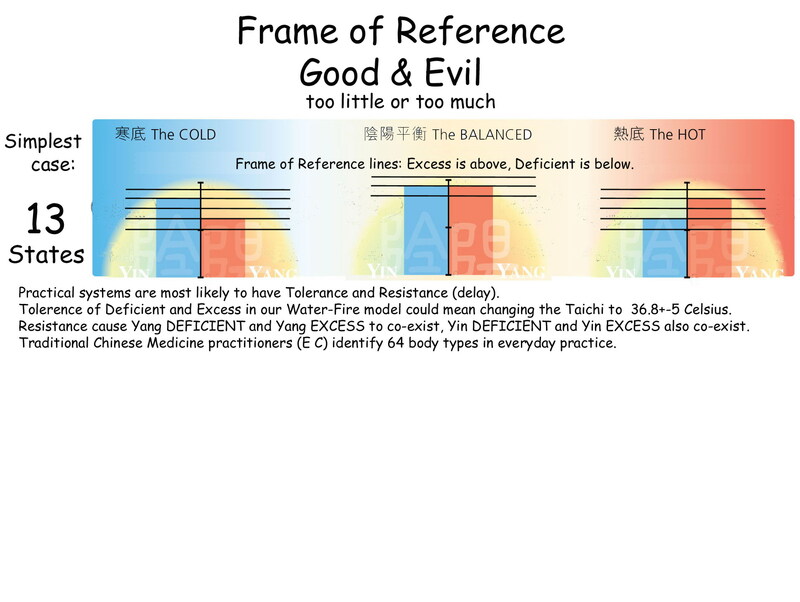 Tolerance of Deficient and Excess in our Water-Fire model could mean changing the Taichi to 36.8+-5 Celsius. Resistance cause yang DEFICIENT and Yang EXCESS to co-exist, Yin DEFICIENT and Yin EXCESS also co-exist. Traditional Chinese Medicine practitioners (E C) identify 64 body types in everyday practice.